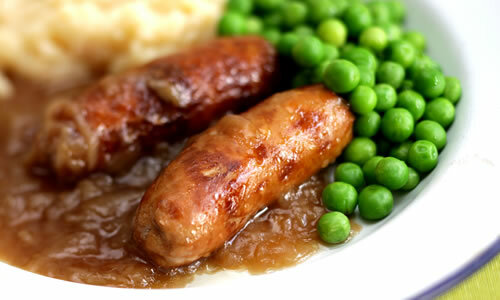 The classic sausage and mash served with homemade onion gravy and peas. Simple and sure to please all the family. This is designed to be a low cost recipe.